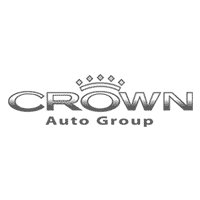 The Crown Auto Group has 420 employees and was founded in 1984 by owner Ashok Dilawri. The company is a local family-owned business and is a strong supporter of local charities including The United Way, Winnipeg Harvest, Children’s Hospital, Winnipeg Homeless, Family Resource Centre, Connect Employment Services and others. Of the seven dealerships in the Crown Auto Group, six are new vehicle sales; Winnipeg Honda, Crown Honda, Crown Nissan, Crown Acura, Crown Mazda, and Crown Toyota Scion, and one used car sales; Automax our pre-owned supercentre. All are located in the Waverley Auto Mall, except for Crown Honda, located on North McPhillips and Crown Mazda, which is located on West Portage Avenue. CROWN Autobody & Glass and Crown Honda on McPhillips are state of the art repair facilities with a modern production process, ensuring the highest level of efficiency and quality of work. Housed in the same building as CROWN Autobody & Glass, CROWN Detailing & Car Wash provides full-service automotive detailing to ensure your car looks great. The Crown Auto Group also has a pre-owned car dealership, The AutoMax Pre-owned SuperCentre, and CROWN Performance, a specialty aftermarket and performance accessory showroom with the largest inventory of custom wheels and tires in Winnipeg.